Please carefully read the terms and conditions ("Terms and Conditions") below before placing any order for any of the Goods or Services from http://www.food.jumia.com. By placing an order for any of the Goods or Services from this Website, whereas it is by phone, through our mobile applications or by any other available channel, you agree to be bound by these Terms and Conditions. 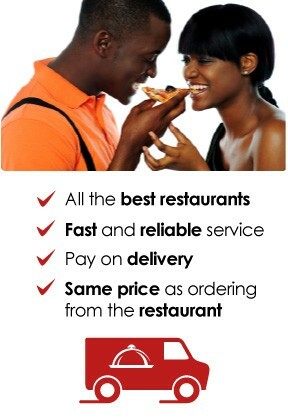 We are Jumia Food, a brand of http://www.food.jumia.com, unless otherwise stated. 2.7. "Partner Restaurant" is a third party, which has agreed to co-operate with the Company to prepare and/or deliver the Goods or Services. 2.9. "Website" is a reference to our Website http://www.food.jumia.com.gh, our mobile applications or any other platform we will choose to offer our Goods or services. 3.1. By placing an order through our Website, you enter into an agreement with Jumia Food with respect to the processing of that order and forwarding it to the Participating Restaurant. If you are paying online, Jumia Food is also responsible for any returns or refunds. However, the Restaurant remains responsible for the preparation, quality and delivery of your order. You agree to take particular care when providing us with your details and warrant that these details are accurate and complete at the time of ordering. You also warrant that the credit or debit card details that you provide are for your own credit or debit card and that you have sufficient funds to make the payment.